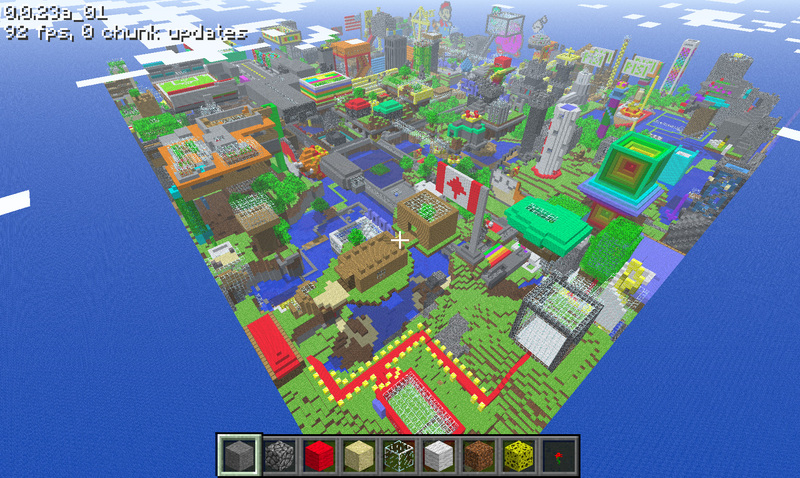 Minecraft, the indie hit for PC, whose popularity has gone meteoric of late, has found its servers overwhelmed. Playing the game isn't affected by the trouble, however. As such, its creator has declared it "free-to-play" until he can restore order. Per a barebones page on the Minecraft page, Markus Persson, aka "Notch", says that "Minecraft got way too popular for this humble server. I've had to disable everything fancy to even get it to run." Presently, registering an account, buying the game and user verification for online servers are all inactive. But playing the game and player skins still work. "Until this all gets sorted out, I'm officially calling a 'free-to-play weekend', or however long this will take to fix," says Notch. "You will need to have a paid account to play it later on when this gets fixed though." The official page (linked below) has download links for Windows, Mac and Linux-supported versions of Minecraft. Minecraft is SOOO BUGGY!!! I bought a copy and it worked but after two weeks it wouldn't let me log in, said my account didn't exist. I have emailed notch three times but he hasn't replied. so buyers beware. Must say though it was great while it lasted! Why wouldn't it be buggy? You are aware you are playing an ALPHA release. If you don't know what that means please stop complaining that the game has bugs. Of course it has bugs, your playing a currently in development game. What more do you expect? Sorry, i did not mean Minecraft is buggy I meant the website that it is hosted on is buggy. The actual game was brilliant and i didn't encounter any bugs but the website. . . thats another story! There's no sound ingame for me.